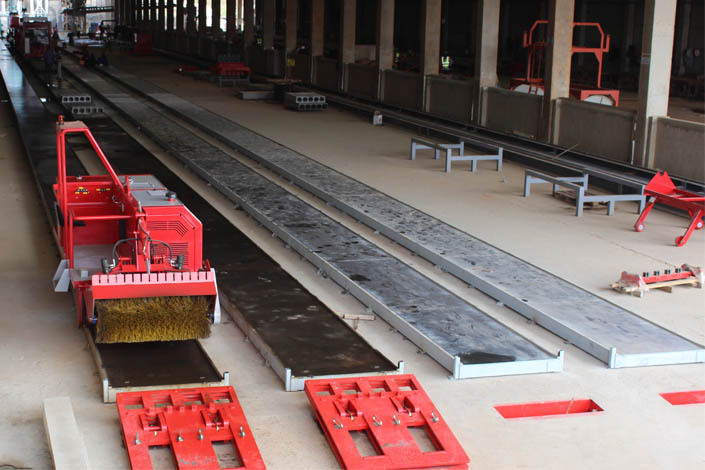 Construction Review Online, Africa’s leading building and construction magazine, has published an article about the adoption of concrete manufacturing machinery in Africa. Spiroll’s experience in Africa includes projects undertaken in Nigeria, Botswana and more recently Ivory Coast. The company’s advanced precast production machinery together with its highly skilled engineers can provide an end to end service from project initiation through design to commissioning, training and support. The popularity of precast concrete as a method of construction is increasing throughout the world, particularly in developing countries. This is because of the benefits it offers including durability, flexibility, speed of construction and cost efficiencies. As it is produced in a controlled factory environment, greater control over material quality is achieved and secondary detailing can be done during the process. The reliability and versatility of precast concrete is increasing the scope of concrete products that precasters can offer. Precast manufacturing machinery on offer from Spiroll includes hollowcore extruders, a range of saws for use on precast slabs, ancillary machinery and equipment, casting beds, prestressing systems and design software. The company also offers prestressing training, certified by ProSkills to ensure a safe stressing operation.